What Solutions Can You Expect To Get From Managed Cloud SAP? Reports on cloud adoption reveal that almost as many as 85% of enterprises are keen to adopt a cloud migration strategy. Incidentally, almost 80% of these businesses are keen to shift applications from their data centers to a public cloud. The main idea behind this change has been the prospect of cost-savings. In keeping with this trend, CIOs are also continuously researching on approaches which are best suited for migration. When you sign up for IaaS services from companies like Azure or AWS, you are provided with virtual servers or HANA machines which can be used for building a SAP landscape. Even then, you must have a collection of resources for creating, deploying and operating the SAP applications. So, it is desirable that the project teams have a quality combination of HANA experts having experience in SAP databases and operating systems, cloud architects with deployment experience and specialists in networking and security who have had exposure to SAP application needs. Why is managed cloud SAP beneficial? Moving to a cloud is no more a revolutionary step; it has become more of a necessity. 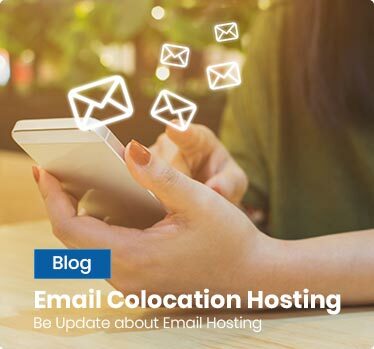 So, how this migration is carried out is more important and many businesses are realizing that a dedicated hosting solution provider is the best bet. Such managed cloud providers will not only run the infrastructure well; these experts will also help them save resources, money and time, allowing clients to focus better on their key competencies. The managed cloud is where you can get round-the-clock supports 24×7. It is an outsourced strategy which needs careful consideration. – With managed cloud SAP, you can expect your IT costs to be cut down. This is because managed cloud SAP are always the most cost-effective options. The SAP managed cloud for example, will let you pay according to a subscription model rather than pay high upfront costs. 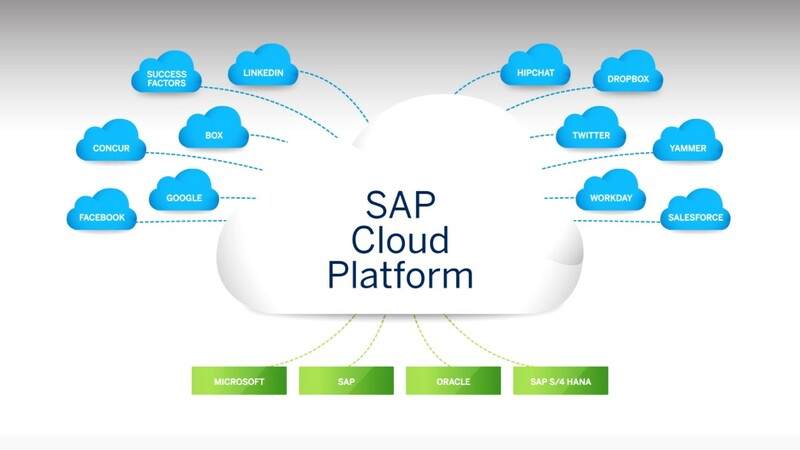 – With managed cloud SAP, there will also a reduction in complexities. According to reports by Aberdeen, 19% of the best-in-class businesses have found less complexity in administering their IT infrastructure post cloud migrations. This same number of companies has also streamlined application deployments and administration. Since you sign up with providers of SAP managed cloud, you can get your IP and solutions customized which lets you cater to your business needs faster. The freedom to use partner IP capabilities eliminates the need for organizations to hunt for multiple providers to take care of different services. – Aberdeen has also revealed that the best-in-class companies were more likely than the others to lessen time required for fulfilling end-user requests. Outsourced supports have helped to bring about this change. When businesses start to rely upon dedicated partners, the in-house teams have more time and resources to satisfy their end-user needs. Moreover, cloud deployments are less disruptive and these can be completed much faster when compared to the time it takes to deploy on-site solutions. – These companies which sign up for managed cloud SAP will also enjoy higher productivity for which they find it important to outsource the deployment and support to a third party provider. They also feel that resources in clouds are more reliable compared to those on-site because hardware or servers will age eventually. The IT teams of such managed cloud providers will also be focused on troubleshooting problems deftly. Customers will have to spend less and less time on managing their IT tasks and they can focus better on core business tasks. 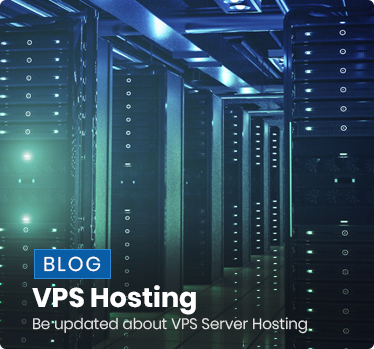 – Those switching to managed cloud hosting providers will also experience less time when it comes to resolving incidents. This is made possible through outsourcing requests to dedicated partners which are in a position to resolve these in real time. They will always have teams ready to intervene in any kind of crisis at any time. So, in the SAP Partner managed cloud the clients are going to get their whole SAP landscape from one vendor. This provider will buy license for the software from SAP. It will then package this along with other managed services, software and cloud hosting solutions to offer a comprehensive SAP HANA cloud solution. This is then leased out to tenants. The managed cloud is one where the customers can buy the whole SAP cloud services instead of assembling it on their own. The provider will rent it out to the tenant for a particular time period and the tenant is free to renew this contract or choose another provider when the contract expires. So, tenants get an opportunity to choose comprehensive services from experienced SAP partners. They can compare their packages, prices, experience, value-added services etc before taking a decision. Individual partners may be able to negotiate with SAP and get licenses for lower costs; so, tenants can also save in the process. Finally, the single-vendor system of the managed cloud will ensure better services and simplified vendor management. This entry was posted in SAP Hana and tagged managed sap hana services, sah hana cloud, sap hana on October 5, 2018 by Akash Sharma. There are millions of cyber attacks being inflicted on websites that may suffer heavily casualties in absence of rock solid defense measures. Hackers have gained advanced capabilities, thanks to easy availability of automated hacking tools. Wireless Application Firewall deserves a significant position among all technologies that are aimed at prevention of web based attacks that may originate from familiar or unidentified sources of application threats. Traditionally, firewalls have proved to offer effective defense against intruders with criminal intentions and it is but natural that these have undergone evolution to match growing threats that are being executed with advanced skills and amazing speeds. The real risk presented by threats that could not be thwarted by legacy firewalls was their potential to impact the application itself as these threats executed attacks by using HTTP and other authorized protocols. These attackers could gain direct access to systems for hacking sensitive data. Web Application Firewalls came into existence to effectively arrest modern cyber threats as the traditional firewalls could not offer reliable protection. There are several iterations of WAFs in relation with the extent of benefits that are offered for different costs. The most basic implementation of a Web Application Firewall is known as network based WAF, which is essentially a hardware intensive firewall technology. Another feature of a network oriented WAF is its local implementation and the two features can be attributed to its advantages as well as disadvantages. Users can achieve remarkable latency mitigation due to its local characteristics in addition to reduction of impacts due to negative performance. Major drawback of network based WAF is the high upfront costs as well as expensive operation and maintenance. Networking team is usually assigned with responsibility to look after management of network based Web Application Firewalls. Reputed vendors help users implement large scale configuration or deployment by replicating settings as well as rules. Centralized configurations and signatures further simplify process of securing multiple applications with considerably less efforts and expenditure. Web Application Firewalls can be integrated fully within the application code or installed on the hosting platform to create an application based WAF for enhanced customizability as well as improved performance. This type of WAF is also much more economical due to lack of any hardware equipment. The most significant demerit of the application based WAF is its relative lack of scalability in large organizational setup. Since application based WAFs reside locally, their management can be overwhelming as these WAFs are designed to integrate into applications. This implies necessity of local libraries apart from seamless access to multiple local resources such as compute power, RAM, and disk space within environment that is compatible. You should also note that these WAFs are built entirely as software programs, which requires active participation of security as well as server management teams throughout the process of installation and future management. You will have to deploy cloud based Web Application Firewalls with hundred percent support of a cloud hosting service provider who will also look into the management aspects of these firewalls. Customers are required to involve their management and security team for its configuration by providing access to cloud based WAFs via web interface. These teams will be allowed to tweak the settings to define response of WAF in terms of different cyber threats. The threats may cover some of the most dangerous attacks including SQL injection and also the most dreaded DDoS attack. Needless to mention, your security and management team will also be empowered to switch off specific rule sets as per the need of the hour. Having understood various types of Web Application Firewalls we can now focus on some of the most interesting attributes of these modern security tools. If you are thinking that the advanced WAFs are only capable of blocking unwelcome or potentially dangerous traffic, then you are mistaken. The filter tool of some of the advanced WAFs is capable of not only preventing entry to the bad visitors but these firewalls can also attract good visitors to your site. Firewall filters act as noise suppressors to improve site’s visibility for better ranking by websites. This is further backed by use of Content Delivery Network to facilitate potential as well as good visitors to find and visit your site without much difficulty. Combination of CDN and WAF is found to be a synergistic one and it enables qualified customers to drop in and browse your web presence for a greater monetization. Web Application Firewalls are equally accountable for thwarting the bad guys from reaching your site so that your web presence grows without concerns of cyber threats. There are multiple service providers to choose from if you are interested in empowering your site with a hardened security profile that has ability to attract good traffic. This entry was posted in Web Hosting Services and tagged cloud hosting, cloud hosting India, web application firewall on August 30, 2018 by Akash Sharma. Cloud computing has changed paradigm of enterprise technology adoption because a large number of enterprises have tasted the amazing advantages of cloud migration including hassle-free running of business applications. Consistent updates, advanced cloud systems and innovative technology are just few of the most obvious reasons for awesome popularity of Microsoft Azure. 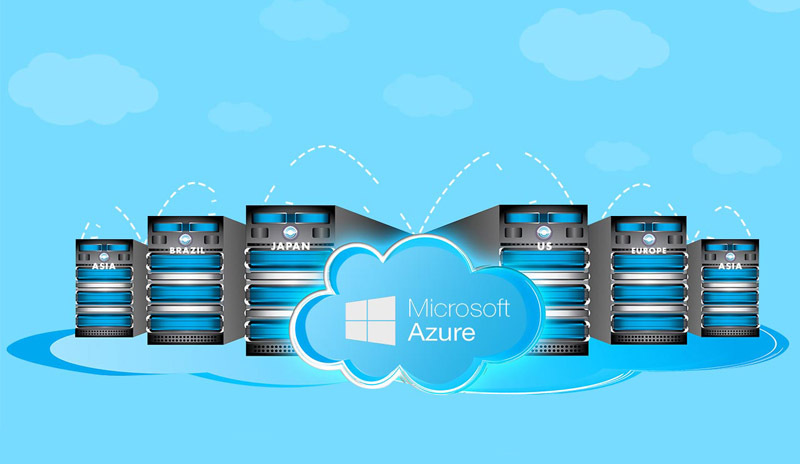 The latest offering y Microsoft in the same context is Microsoft Azure backup solution that assures seamless compatibility with a variety of enterprise infrastructures and policies. Since most of the entrepreneurs are somewhat clear about their data related tasks and strategies, it would be relevant to check ability of Microsoft Azure Backup solution. There is an alarming increase in occurrence of cyber crimes apart from other acts of God including quakes, floods, storms, and tornadoes to name a few. Any ideal backup resource must have proven ability of data restoration in the event of an unexpected outage. There is more to Azure backup than meets the eye because it deals with cyber attacks by execution of the three-pronged approach consisting of preventive measures, detection capabilities and thereby instantly responding to cyber threats. 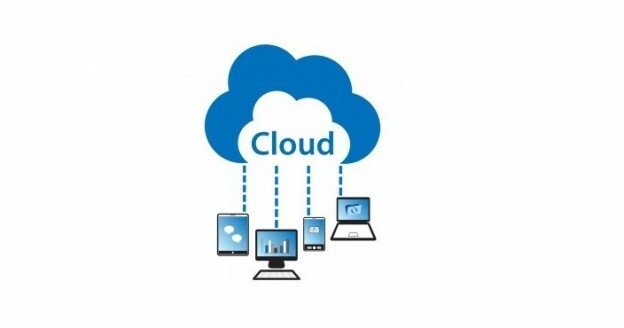 Versatility and variety are inherent and important attributes of Microsoft Azure cloud system. It is therefore quite logical to expect the same attributes from Microsoft backup systems. There are three important choices by Azure backup resource. If you have enough space and are interested in building a full backup, then Azure backup can support coverage of the entire gamut of information with full backup feature. One of the most sought after backup solutions offered by Azure is the facility of incremental backups. The obvious reason for its popularity is its least requirement of storage space. Data storage is implemented by way of leveraging storage blocks to make sure that the system is running efficiently. There is no burden of carrying forward data in the initial form because it constantly updates the storage to the latest version. Any data related modifications, alterations, and additions can be efficiently covered with help of Microsoft Azure differential backup that is light on space and offers freedom from storing several copies of data. Azure backup is highly appreciated for its automatic storage feature that leverages software to intelligently allocate backup and helps save efforts as well as time. What’s more, users are not required to invest their time monitoring or maintaining their data storage and backup resources. Azure backup system makes sure that users can access their data from any location at anytime which is convenient to them. The huge scaling capacity of Azure backup resource ensures that you never run out of space to store valuable data backup that is critical to survival of your organization. Another distinct advantage of Azure backup is it imposes no cap on the retention period of data. 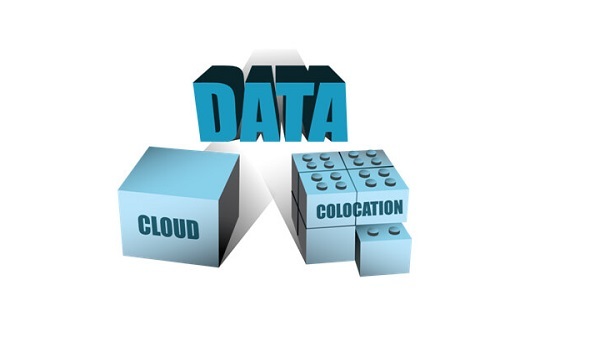 You can continue to leverage cloud data resource to store the same for unlimited period of time. In addition to providing a right environment for short as well as long terms storage and data backup, Azure offers a wide assortment of benefits to companies that want value for their money. Users of Azure data backup system are allowed to use the resource for transferring any amount of data as per the requirements. You need not search for any cheap cloud data backup solution because Azure backup is packed with all essential features of an ideal cloud backup solution. 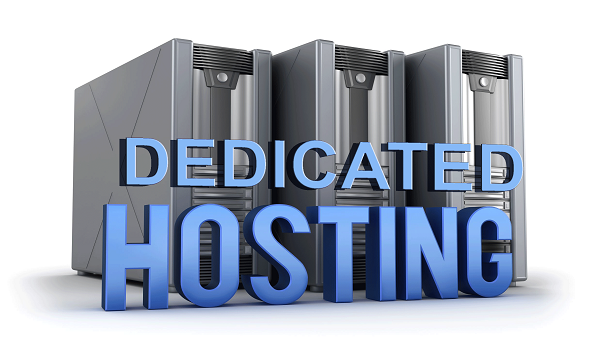 It relieves you from the hassles of purchasing and maintaining onsite hardware and software equipment. Since the storage in Azure backup is located far away from your on-premise infrastructure, it actually adds a sound layer of security. Moreover by storing three versions of your data at separate locations, Azure backup guarantees availability. Any data that is leaving the Azure data center is seamlessly encrypted including the source as well as at the vault in addition to the period in transit. After establishing the full backup facility for an enhanced efficiency, Azure backup will introduce only the alterations and modifications as per predefined frequency as well as schedule by the end user. The optimization of the utilized bandwidth will be enhanced further by way of the inbuilt compression for dependable and efficient utilization of the bandwidth. Azure backup allows consistent integration with the Data Protection Manager that is part of Microsoft’s onsite infrastructure. This enables you to access onsite data resource for rapid availability and the same is subsequently seeded to cloud storage of Azure for added protection at its offsite location. As such, you will come across a broad spectrum of Microsoft Azure products and the purpose of the post is to familiarize you with general aspects of the highly sought after Azure backup system. This entry was posted in Microsoft Azure and tagged cloud storage, Microsoft Azure, microsoft azure services on August 21, 2018 by Akash Sharma. Speed of the website is measured in terms of the promptness of page loading and every single website in the Internet jungle is aiming to attain higher speed. The website owners or system administrators adopt a wide spectrum of tools and solutions including a Content Delivery Network to retain visitor base. If you want to know importance of page loading speed, then you only have to recall your own experience of browsing a slow website. You must have abandoned the website within few moments in such a situation. Any internet user is not going to tolerate slow loading sites due to availability of a wide spectrum of options to look for. Visitors simply leave such crawling sites for much faster alternatives. Website speed is also an important factor from the indexation point of view since major search engines are assessing several qualities of site performance including the speed of page loading. Then there is a vital issue of visitor retention, which is a major influencing factor for business websites. Content Delivery Networks were developed to manage Internet traffic that was growing by leaps and bounds during the initial phases of net connectivity. However it was only during the late nineties that a commercial avatar of CDN came into existence. 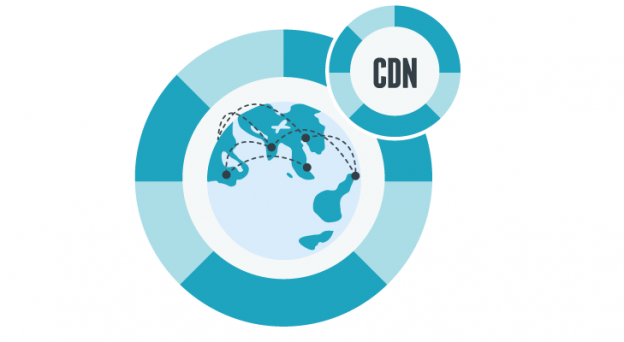 The aim of CDN is to build a distributed network of edge servers to mitigate the distance between content and user for enhanced browsing experience. Commercial or non-commercial service providers of CDN solutions build edge servers across a wide geographical area to enable any user to get excellent user experience irrespective of his or her geographical location. Every CDN server in a given network is designed to sync with other servers while holding a large gamut of content to be instantly delivered upon user’s request. Thanks to the amazing power of internet as it can be leveraged to boost a website’s performance. Content Delivery Network plays a very supportive role in enhancement of user experience in terms of faster page loading. It is also referred to as CDN by technology experts. It is found that CDN powered websites are more reliable and popular among users because of promptness of page loading and improved user experience. By availing a CDN platform for your website, you can drive more repeat visitors as well as potential customers to your site with help of other SEO techniques. In order to gain CDN advantage for enhanced site performance through seamless availability of web content across the large geographical area, one must get associated with a right CDN provider. Your cloud CDN provider must have a robust presence in the target region which has been identified by you. It doesn’t matter if a CDN provider is based on the other side of planet if the service provider has remarkable presence of CDN servers in your preferred zone. Secondly, the CDN provider must offer a user friendly method of CDN setting to accelerate and simplify the initial setup process. In following lines, we will discuss about a simple guide to setup CDN resource for boosting speed of the website. By completing formalities of opening an account with a reputable CDN provider, you are entitled to login by entering your credentials. The next step is to add the website that needs to have accelerated page loading in the dialogue window provided by system. There is an important activity of adding, changing, and verifying DNS records before continuing with the next step. The system will guide you through the process of DNS setting. In the following step, you will be selecting records that need to be routed via CDN system of the provider. A simple dialogue window will help you add records such as CNAME, AAAA, or A before you are directed to modify DNS records in a domain control panel for configuring with service provider’s DNS records. In the subsequent steps, you will be activating your domain name by changing domain records. This is vital for availing all speed and security benefits offered by the CDN service provider of repute. The effect of faster page loading can be verified after 24 hours and you will also be able to confirm improvement in the overall number of page views as well. 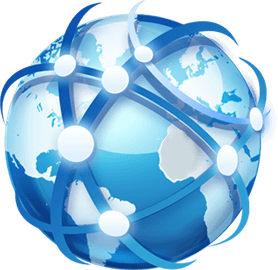 Content Delivery Networks have considerably enhanced the entire Internet by improving versatility and usability. Content Delivery Networks are aptly referred to as Internet’s building blocks. Can CDN’s accelerate dynamic content/applications? This entry was posted in CDN and tagged CDN Hosting, cdn hosting services, content delivery netowrk on June 1, 2018 by Akash Sharma. 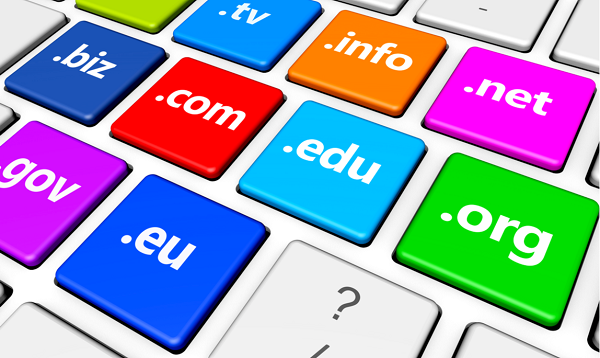 To launch any site, you will need to register its domain name first. This domain name is nothing but the internet address which will comprise of a name with an extension like .in or .com. The extension is referred to as the TLD or Top Level Domain and choosing the right extension will influence your site’s SEO rankings. The main idea behind these domain name extensions was to help users browse easily across different domains. Among the popular domain name extensions, the .com is the most widely used. Besides the general domain name extension there is also an extension with a country code. This is the country code TLD or ccTLD which contains the country code for which this extension is applicable like, if the extension states .uk, then the intended country is the UK. Ever since 2001, newer gTLDs had been introduced like .pro or .info following the ICANN creation. The list has been growing since then and a complete list is displayed on the Internet Assigned Numbers Authority website. The ccTLD allows Google to understand the origin of a specific site. So, given that all other factors are equal, when a site has an extension like example.com it is likely to be ranked before a site with an extension example.in. But the drawback in this case is that you will need to purchase a new domain extension for every language. This result in steep costs and Google web crawlers which are designed to scan sites cannot view multiple sites as one since they have different extensions. When a site has more authority, Google will stay longer there in order to index more pages. So, higher authority which is the value Google assigns to a site will result in better scope for sites to get higher ranks in this search engine. But this is not just one factor which ranks sites on Google; Google uses more than 200 factors for determining site rankings. With emergence of the new domain name extensions like .club or .pizza, sites can make themselves easily identifiable. Here, the extension will help you understand what the site is about. People feel that these new age extensions may not be useful when it comes to ranking websites. The new TLDs will not necessarily give better rankings. But, there are others who feel that these new extensions are benefitting the SEO rankings of websites. There have been quite a few success stories where sites with the new extensions have found to get rankings in the first page of the search engine results. The trick is to make sure that the extension or at least a part of it matches the keyword you type in Google. 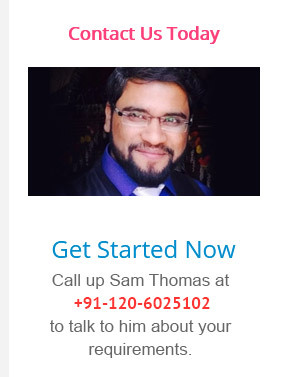 So, TLDs which have relevant keywords in them tend to have an edge over traditional TLDs such as .com. In spite of these success tales, Google maintains that having new gTLDs really offers neither any advantages nor any disadvantages in terms of SEO rankings. Google states that every TLD can rank well. The type of extension that will benefit your website in terms of SEO rankings will depend upon many factors. It is recommended that you opt for the Top Level Domain or .com for the best ranks. However, if you are selling your goods in a specific country only, you may choose the country-code specific extension. Sometimes an extension is used not because it will help your SEO ranking, but because it sounds nice and is easy to recall. So, when you work for a company which repairs car damages you will be keen to use the names auto and repair when choosing a domain name for your website. This will ensure that your client knows what the website is about even if Google may not rank it well. When you use a gTLD, you must understand that you are going to have to communicate this with your buyers and clients. The people you are targeting are likely to search for a company’s name with an extension that is specific to that country. So, when you select a gTLD you should ensure that your target audience knows that. This entry was posted in SEO and tagged Hosting, SEO on January 13, 2018 by Akash Sharma. Every now and then we keep hearing of new buzzwords in the Information Technology domain. One of the buzzwords doing the rounds is “shared responsibility model”. What does this axiom mean? In the cloud security context this means a security schedule that ordains the security responsibilities of a cloud computing provider and its users to guarantee accountability. Lets us now consider two scenarios. • When a business operates its own IT Infrastructure in-house with its own data center, the primary responsibility for the security of this infrastructure is with the business. • When the enterprise moves to a public cloud it transfers some of the security responsibilities to their cloud provider. The responsibility scope for the cloud provider and cloud user is clearly demarcated for different aspects of security. Yet, both parties must work in tandem to ensure full coverage of security. It is to be noted that each type of cloud model, SaaS (software as a service), PaaS (Platform as a Service, and IaaS (Infrastructure as a Service) clearly defines which party is responsible for which security tasks. According to information technology experts, the users’ accountability increases as they transition from SaaS to PaaS to IaaS. In this context let us examine the IaaS Model. Here the security responsibilities are alienated as follows. • The cloud provider is fully responsible for securing basic cloud infrastructure components such as server, storage, virtualization software and networks. The cloud vendor is also liable for the physical security of that data center that houses the infrastructure. • The client on the other hand is accountable for the security of its OS, software and data. This is somewhat in line with the best practices outlined by the Amazon Web Services (AWS) security cloud model. • Vendor – Compute infrastructure, storage, database and network. To make it simple, the customer is responsible for the security “in the cloud”, whereas the AWS is responsible for the security “of the cloud”. How did the idea that cloud security is a shared responsibility come about? Businesses to improve agility and reduce costs are distributing cloud based applications among varying environments or models. These environments include public clouds, private clouds (including hybrid and dedicated), and SaaS. It is the apprehension over data exposures that have brought about security concerns in the cloud. This is the top most priority for IT managers. In the present business environment, the challenges are twofold. 1. Balancing the company’s need for agility without compromising on the security of data that transitions between various clouds. 2. Gaining transparency and preempting attacks that are trying to smuggle data both from external sources as well as internally. 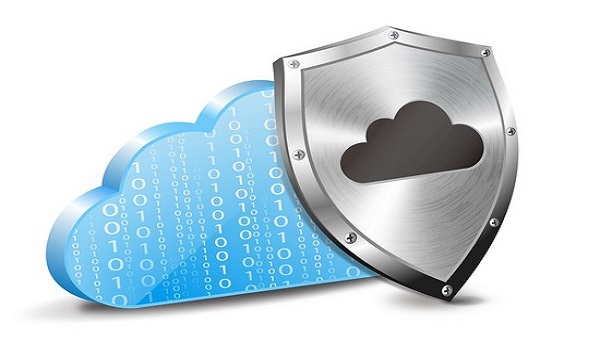 Typically in an IT setup there are several units responsible for cloud security. These include, but not limited to, the technology or network team, applications team, security team and compliance team. But looking at the overall cloud perspective, the cloud security must be shared between the cloud provider and the company. This is true even when transitions are made from the private cloud to the public cloud to SaaS. For a straightforward understanding, here is an explanation. • In a private cloud, the responsibility of security of data, application and infrastructure is solely with the customer or enterprise. • In a public cloud setup, data and applications responsibility is with the customer whereas the accountability of security of infrastructure is with the vendor. • In SaaS, the responsibility of security of data is with the enterprise while the responsibility of apps and infrastructure is with the vendor. The picture is clear. IT security is the combined responsibility of both the vendor and the enterprise. While the enterprise must be confident that the vendor has implemented adequate security measures to keep applications and data secure, it must also have the right tools to manage what vendors do not do. So what are and could be the right tools with an enterprise? In a nutshell, the tools must perform the following functions. • Exhaustive analytics on usage to preempt data risk and compliance breaches. • Leverage real time threat intelligence on known threats and perform state-of -the art detection on unknown threats to prevent security compromise via new malware entry points. Most of the major cloud vendors, such as Amazon Web Services clearly define their shared responsibility models in their offers. Yet, in practice the responsibility demarcations can become blurred, especially when the when the cloud provider has made a large mark in the cloud domain such as Amazon Web Services. In such a scenario, companies must clearly demarcate their security roles while signing the contract. This entry was posted in Cloud Hosting and tagged cloud hosting, Cloud Infrastructure, Cloud Security on December 14, 2017 by Akash Sharma.